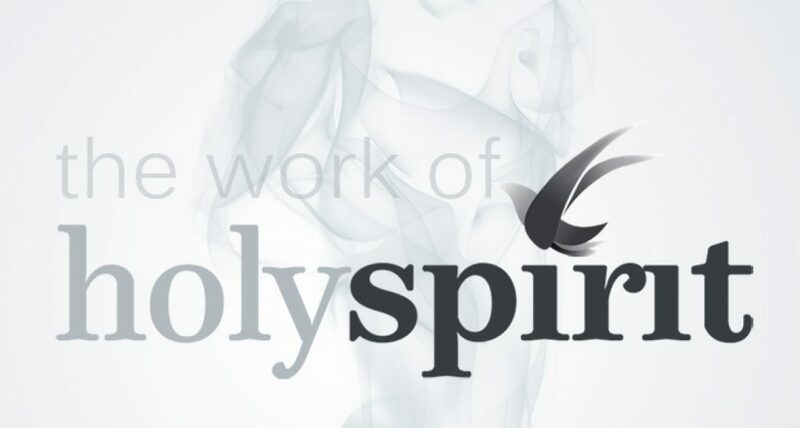 The work of the Spirit is manifold, but this post will cover only a few that will both thrill our hearts and clarify wrong doctrines that have crept in unawares. We know from Luke that Mary was told, “The Holy Spirit will come upon you, and the power of the Most High will overshadow you”. That was a unique event; however, being born of the Spirit allows man to experience the same supernatural overshadowing. The Holy Spirit causes a spiritual regeneration—a birthing of new life. John’s First Epistle uses the phrase “born of God” six times. This new birth is the result of two parts acting together – one is the Spirit and the other is the Word. The important principle indicated here (and also revealed elsewhere), is that the Spirit will not work outside or externally to the Word. His work is corroborated by the Word. That means there are no paranormal experiences of the Holy Spirit, which are alien to the Word of God. There are eleven passages that teach us the doctrine of the baptism of the Spirit. These can be divided into three parts – Prophetic passages, Pentecostal passages, and Purpose passages. The Prophetic passages are found in Matthew, John and Acts. These references point to a time in the future when Jesus Christ will baptize with the Holy Spirit. We understand that this happened first on the Day of Pentecost and thereafter continues to happen to all subsequent believers. The Pentecostal passage is found in Acts where we see the birth of the Church when the Holy Spirit first came as a permanent resident within the saint. The Purpose passages tell us what it means to be baptized by the Holy Spirit. We find these references in Romans, Colossians, Galatians, Ephesians and 1 Corinthians. These verses together teach us that the baptism of the Spirit is the imperceptible work of God which occurs at the time a sinner believes on the Lord Jesus Christ. It is automatic and spontaneous and does not require human intervention, nor is there a period of waiting for its receiving. This baptism places the believing sinner into the body of Christ at the moment of his or her conversion. Conversion does not occur without the baptism of the Spirit, and vice versa. Some say there is a relationship between the baptism of the Holy Spirit and speaking in tongues. It is very clear that the baptism of the Holy Spirit does not produce speaking in tongues. Paul’s first letter to the Corinthians states that not everyone spoke in tongues, but later, in the same book, we read that everyone had been baptized by the Holy Spirit. The baptism of the Holy Spirit is a one time event and happens when a sinner becomes a saint. The filling of the Spirit, however, can happen many times in the life of a saint. The baptism of the Spirit is automatic without human intervention, but the filling is commanded. Grow Up: Have a hunger and a desire to be filled by the Spirit. Give Up: Give up the sins by confessing and desiring to be clean before God. Filling can happen only within a cleansed heart. Give In: In the Old Testament, sacrifices had to be living, spotless and without blemish. The New Testament places a similar expectation on the believer, the sacrifice being his/her own body submitted to God. Grow On: Growth in the Christian’s life is essential for the filling of the Spirit, and growth can only happen through full dependence on the Spirit. Being filled with the Spirit results in a fruitful, submissive (yet thankful) and joyfully serving Christian. It is important that the indwelling of the Spirit be clarified as being different from the filling and even the baptism of the Holy Spirit. In the baptism of the Spirit, we are placed in Christ; however, in the indwelling of the Spirit, the Spirit takes residence in us – both of which happen at the time of conversion. The filling of the Spirit, however, is when the Spirit is allowed to be the president and not a mere resident of the Christian’s life. This happens only when self is off the throne and put to death daily. God must reign for the filling to occur. The primary indicator of the filling of the Spirit is gratitude– gratitude with joy. In the doctrine of the Word of God we learn that the Word is both revealed and inspired. The words that we read in the Bible were written by the inspiration of the Spirit and, no matter what men might say, not a jot or tittle will pass from the law. The reason unbelievers do not understand the Word is because they need the Spirit to ‘illuminate’ or explain the Word. The Spirit of God is needed because the Word of God is a mystery, and different from that of the world; the natural man cannot understand it. If we want to know the deep things of God, we need the Spirit to reveal them to us. Indwelling – John 14:17, Romans 8:9-11, 1 Corinthians 3:16, 6:19, 2 Timothy 1:14, James 4:5. Thanks for that helpful teaching brother.